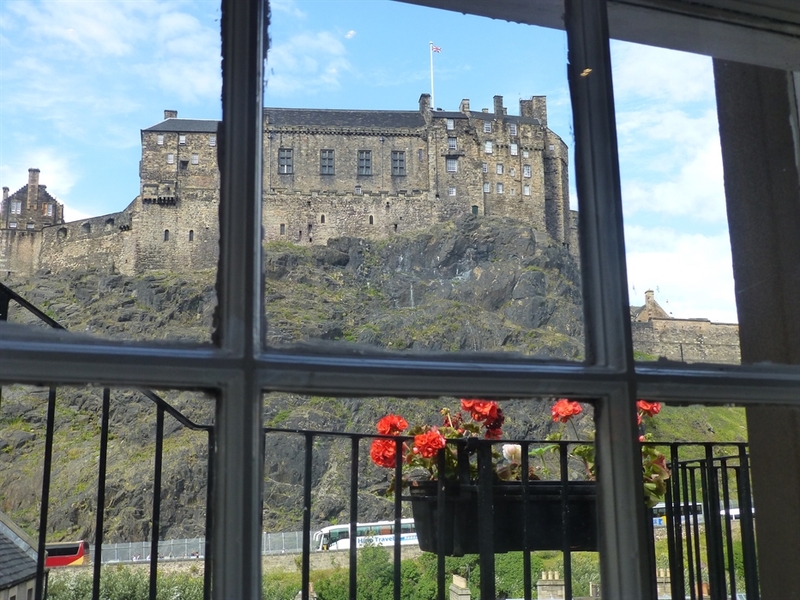 Bright, light, apartment with a view of Edinburgh Castle. 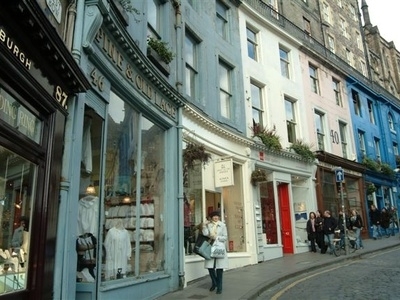 The Grassmarket is one of the best-known areas of the city, with lots of bars, restaurants and independent shops. This used to be the working hub of the city; a bustling place of livestock, noisy workers, inns and stables. There have been markets (including horse and meat markets) since at least the 15th century; the first written record of a market is in 1477. In summer, the place comes alive with pavement cafes and street markets, and it has a lively nightlife scene. 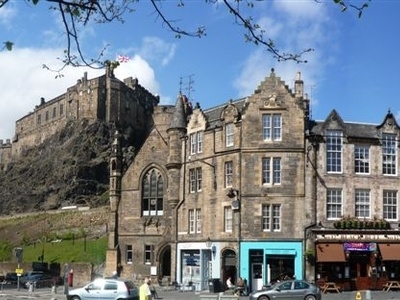 Notoriously the Grassmarket was the site for public executions, a memory reflected in the naming of the Last Drop pub: the name refers both to drops of drink and to the drop from the gallows! 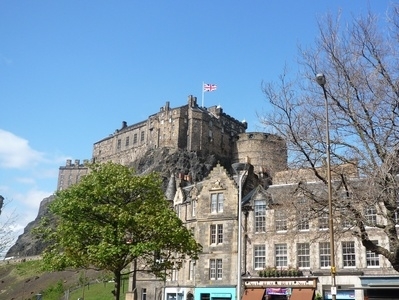 The Martyrs Cross in the centre of the Grassmarket commemorates the Covenanters who were hanged here in 1681 for their part in a rebellion against the imposition of Catholicism in Scotland. 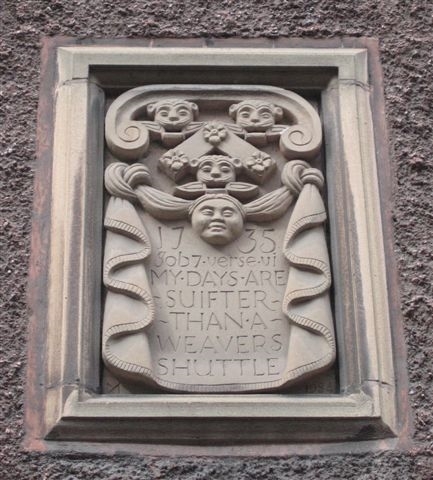 You can find out more about Edinburgh's grisly past on the guided tours that leave from the Royal Mile; see for example Mercat Tours, Witchery Tours and Mary King's Close. 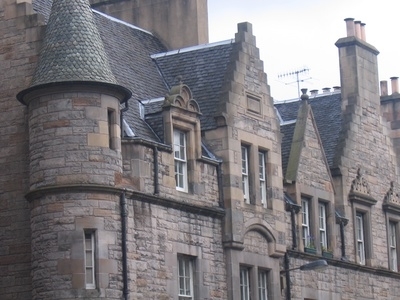 In the Vennel to the west of the Grassmarket you can see one of the few remaining sections of the Flodden Wall, a defensive structure built around Edinburgh after the disastrous Battle of Flodden (1513), in which King James IV was killed.